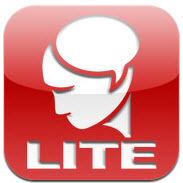 These free apps can be used to elicit language for so many objectives! Toontastic Free, Sock Puppets, and PuppetPals are amazing apps that let students create their own stories with animation and audio. Students can work together to practice conversation and other social skills. Observe students as they create to determine proficiency of carry-over skills. SLPs and teachers could use this app to create social stories or story starters prior to lessons. Students can add captions to photographs using Comic Touch Lite. Let them take their own pictures or present them with a selected set of photographs and/or vocabulary. Save the photos with captions to your Photo Album for later practice or use for another project. 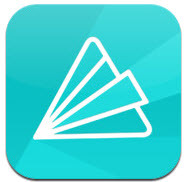 Use Animoto Video Maker to turn your photographs into movies. If students are taking the photographs, you may want to create a task card with instructions that will make the photographs relevant to the lesson. Use both Comic Touch Lite and Animoto Video Maker to make a movie of your captioned photos.